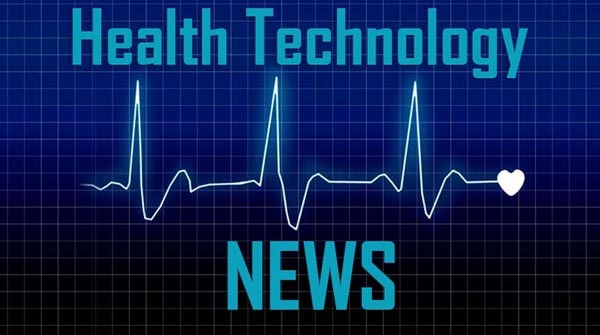 DURHAM, NC / ACCESSWIRE / April 2, 2019 / Heat Biologics, Inc. (NASDAQ: HTBX), a biopharmaceutical company developing immunotherapies designed to activate a patient’s immune system against cancer, announces that it delivered a poster presentation yesterday, April 1, 2019, at the American Association for Cancer Research (AACR) Annual Meeting. The Company’s presentation, entitled, ”Generation of a novel, allogeneic cell-based, Gp96-Ig/OX40L cancer vaccine, improves anti-tumor immunity and long-term memory T-cell generation,” is available online here. The poster presentation featured the Company’s next generation cellular vaccine platform, ComPACT (COMbination Pan-Antigen Cytotoxic Therapy), which incorporates a tumor antigen chaperone (gp96-Ig) with T-cell costimulation (OX40L-Ig), simulating a single tumor cell line source that secretes both products. The presentation modeled how the addition of human HS-130, which secretes OX40L-Ig, to HS-110 may impact anti-tumor immune responses. This combination generated a three-fold increase in CD8+ T-cell expansion, increased numbers of long-lived tumor-specific T-cells, and potent short-lived killer T-cells required for tumor growth control. The AACR Annual Meeting program covers the latest discoveries across the spectrum of cancer research – from population science and prevention; to cancer biology, translational, and clinical studies; to survivorship and advocacy – and highlights the work of the best minds in research and medicine from institutions all over the world. This press release includes forward-looking statements within the meaning of the Private Securities Litigation Reform Act of 1995 on our current expectations and projections about future events. In some cases, forward-looking statements can be identified by terminology such as “may,” “should,” “potential,” “continue,” “expects,” “anticipates,” “intends,” “plans,” “believes,” “estimates,” and similar expressions. These statements are based upon current beliefs, expectation, and assumptions and include statements that the addition of human HS-130, which secretes OX40L-Ig, to HS-110 may impact anti-tumor immune responses and that the combination of HS-110 with OX40L co-stimulation has the potential to dramatically enhance anti-tumor immune responses. These statements are subject to a number of risks and uncertainties, many of which are difficult to predict, including the ability of Heat’s therapies to perform as designed, to demonstrate safety and efficacy, as well as results that are consistent with prior results, including clinical results of the combination of the combination of HS-110 with OX40L co-stimulation that are consistent with the results presented in the poster, the ability to enroll patients and complete the clinical trials on time and achieve desired results and benefits, Heat’s ability to obtain regulatory approvals for commercialization of product candidates or to comply with ongoing regulatory requirements, regulatory limitations relating to Heat’s ability to promote or commercialize its product candidates for specific indications, acceptance of its product candidates in the marketplace and the successful development, marketing or sale of products, Heat’s ability to maintain its license agreements, the continued maintenance and growth of its patent estate, its ability to establish and maintain collaborations, its ability to obtain or maintain the capital or grants necessary to fund its research and development activities, and its ability to retain its key scientists or management personnel, and the other factors described in Heat’s Annual Report on Form 10-K for the year ended December 31, 2018 and Heat’s other filings with the SEC. The information in this release is provided only as of the date of this release, and Heat undertakes no obligation to update any forward-looking statements contained in this release based on new information, future events, or otherwise, except as required by law.